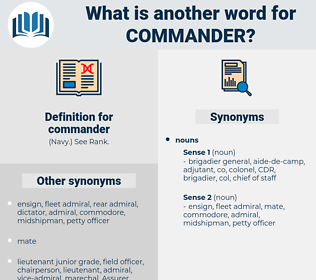 What is another word for commander? command, commands, leader, chiefs, officer, officers. 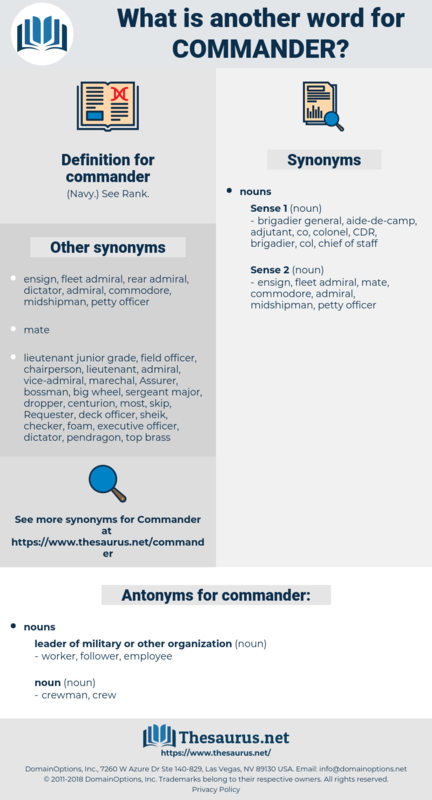 commanding, captains, ponds, Abilities, commendatore, cmdr..
directors, combatants, decisions, items, periods. commanding, pilot-in-command, commandment, soldier, transmitter, colonel. You shouldn't have come, Commander. I confess I was pretty high, which did not at least the young gentlemen Commander like; and Middleton did the like.